Fun and very entertaining book. There were several lines that got me to crack a smile on an otherwise miserable and stressful weekend. 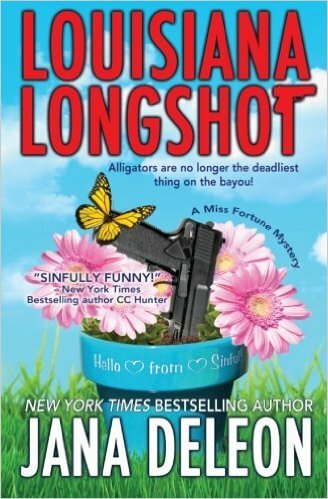 Basic plot summary is a CIA agent is hiding out in rural Louisiana because of a leak that has compromised her. She is competent, strong, and likable. Sure, she flubs a few things, but it’s still believable. Her first day trying to remain inconspicuous, her new dogs digs up some human bones and sets the story on its path. I love the strong, feminist angle of this story. The women in this small town are not resigning themselves to being housewives, raising babies, etc. They are strong and powerful in their own right, and dubbed the Geritol Mafia for a reason. I might like it more than most after having lived in New Orleans and traveling out to some of the rural areas of Louisiana. It’s very Janet Evanovitch in feel, but with much more competent (and for me, likable) characters. It’s the first in the series, and I’m looking forward to reading more.